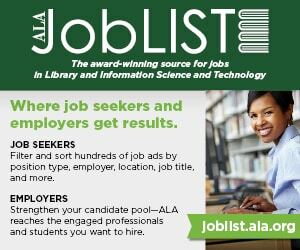 More than 17,000 registrants amassed in New Orleans for the American Library Association’s (ALA) 2018 Annual Conference and Exhibition June 21–26. 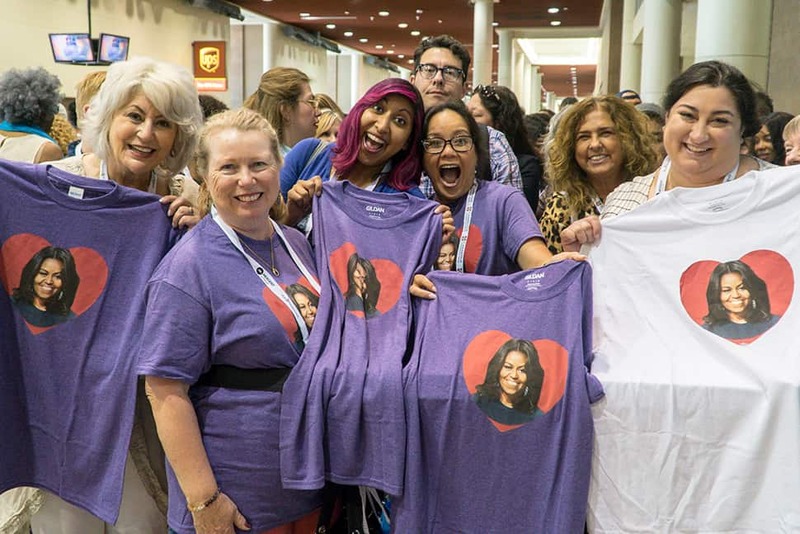 The six steamy but lively days saw conversation and debate about some of the most important issues in the library world and beyond, including advocacy, diversity, and technology. Among the many big-name speakers in the Big Easy was former First Lady Michelle Obama, who opened the conference with an inspiring talk about work ethic, raising children, being a woman, striving for work/life balance, and the importance of remembering one another’s humanity. One American story—the work of famed children’s author Laura Ingalls Wilder—was thrust into the mainstream spotlight with the decision of the Association for Library Service to Children (ALSC) board to change the name of the Laura Ingalls Wilder Award to the Children’s Literature Legacy Award. The change, which was voted in by the ALSC board 12–0 during the conference, comes after the ALSC Awards Program Review Task Force was charged with making a recommendation on the award, which honors an author or illustrator whose books have made a lasting contribution to children’s literature. 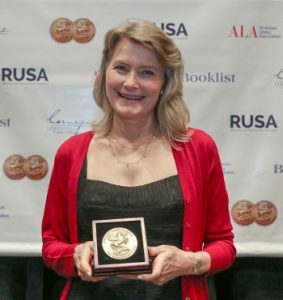 “We made this decision in order to bring our awards program into consistency with our mission and our strategic directions,” said ALSC President Nina Lindsay. In a joint statement from Lindsay and ALA President Jim Neal, Wilder’s works are acknowledged to “reflect dated cultural attitudes toward Indigenous people and people of color that contradict modern acceptance, celebration, and understanding of diverse communities.” The name change went into effect immediately after the June 23 vote. Issues of belonging and citizenship came to the fore during the ALA President’s Program, the first half of which featured US Poet Laureate Tracy K. Smith in conversation with Brendan Dowling, assistant editor of Public Libraries Online. Smith recalled recently reading her work at a men’s rehab facility, and although the poems were not about addiction, audience members spoke to her afterward about how their experiences were reflected in what she read. 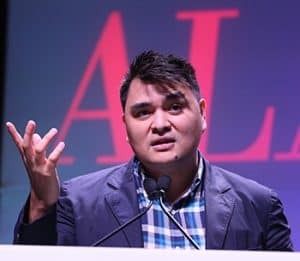 In the program’s second half, journalist and filmmaker Jose Antonio Vargas told his story of being brought from the Philippines to the US at age 12, and of later revealing his undocumented status in a New York Times essay. His experiences have led him to ask basic questions about migration generally: Why do people move? What role does US foreign policy play in migration? Why can his iPhone cross borders more easily than he and his mother—who is still in the Philippines and whom he hasn’t seen in 25 years—can? Many librarians find themselves helping more and more patrons navigate immigration issues. In a panel on serving immigrants and refugees in public libraries, librarians from Los Angeles to New York shared their experiences and best practices, such as starting with demographics, learning your library stakeholders’ attitudes toward immigration, finding internal and external partners, and building community. Eva Raison, coordinator of immigrant services at Brooklyn (N.Y.) Public Library (BPL), provided a list of resources for librarians who want more information about policy, legal issues, and related organizations. 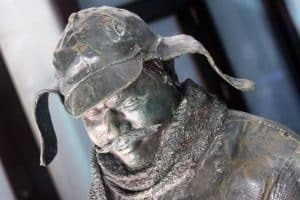 Librarians pursuing academic research on equity, diversity, and inclusion issues who have been harassed by conservative groups came together in the program “Bullying, Trolling, and Doxxing, Oh My! Protecting Our Advocacy and Public Discourse around Diversity and Social Justice,” to tell their stories and how they navigated the backlash. Stacy Collins, research and instruction librarian at Simmons College in Boston, discussed the harassment that she received after Campus Reform and Fox News featured stories on an anti-oppression guide that she created for the college’s website. Unlike the other panelists in the program, Collins had the backing of her administrators. “The assistant director of the library responded and said, ‘The entire library is responsible for this. Don’t target [our staffers]; target me as the library representative,’” Collins noted. The support helped diffuse the harassment, while also fortifying the college’s resolve to combat oppression. The panel session “Fake News or Free Speech: Is There a Right to Be Misinformed?” found itself bursting at the seams, with every seat full long before the session began. Moderated by James LaRue, director of ALA’s Office for Intellectual Freedom, panelists discussed how librarians can address the concept of “fake news.” Joyce Valenza, assistant teaching professor of library and information science at Rutgers University, argued that the prevalence of false information being spread through social media creates an opportunity for librarians to lead. She exhorted the audience to begin thinking about how they can curate resources for credibility and discovery. 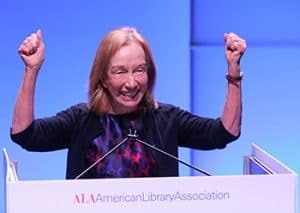 Lessons and lore from the past were the subject of several popular programs, such as presidential historian and Pulitzer Prize–winning author Doris Kearns Goodwin’s Auditorium Speaker Series talk. Goodwin’s latest work, Leadership in Turbulent Times (Simon & Schuster, September), focuses on the ability to lead as a common defining characteristic of “her guys”—Abraham Lincoln, Theodore Roosevelt, Franklin Delano Roosevelt, and Lyndon B. Johnson. Carla Hayden has experienced several “pinch me” moments of awe in her role as Librarian of Congress, such as getting to handle primary source materials from important historical figures like Rosa Parks. Nothing compares, she said, to seeing a letter written “in her hand.” At the Reference and User Services Association’s (RUSA) President’s Program, “New Dawn for Libraries: A Conversation with Dr. Carla Hayden,” she gave insight into her career path from children’s librarian to her current role running America’s library and her vision for libraries moving forward. She noted that one of the biggest challenges facing the Library of Congress (LC) is digitizing resources and storing the collection. “We keep collecting because history never stops,” Hayden said. LC recently centralized its information technology services and is continually discussing new technologies and the financial resources needed to stay abreast of developing strategies. David S. Ferriero (left) in conversation with Carla Hayden. 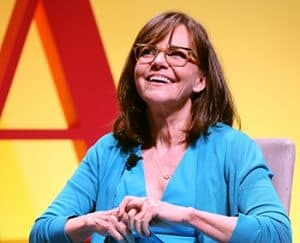 “I began this journey not knowing what it was I needed to say,” said Academy Award–winning actor Sally Field of her forthcoming autobiography, In Pieces (Grand Central Publishing, September). The book is an unflinching, honest account of a life shaped by Hollywood—one marred by childhood abuse at the hands of her actor stepfather but uplifted by perseverance, artistic success, and the love and respect of her family and peers. Field joined Booklist Adult Books Editor Donna Seaman for a conversation, during which the actor discussed the reminiscences and research that led her to learn things about her past—things that revealed themselves only with great distance. “It was a discovery about myself, about my own survival system that was created from a troubled childhood,” she said. During his presentation “Dining from a Haunted Plate,” author and culinary historian Michael W. Twitty described himself as a “black agent of change” and called his book The Cooking Gene: A Journey through African American Culinary History in the Old South (Amistad, 2017) a documentation of the journeys of his ancestors in the American South through the evidence of their foods and cooking methods. 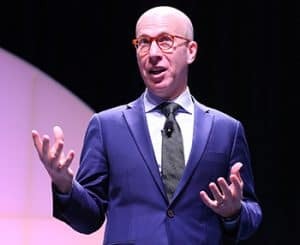 During a question-and-answer session, he revealed that The Cooking Gene is the first in a forthcoming trilogy of similar books that address his multiple identities and cultures. Up next is Kosher Soul, which will be followed by a book about LGBT food and culture. Forty-five years ago, the deadliest mass murder of gay people prior to the Pulse nightclub shooting in Orlando took place in the French Quarter in New Orleans. The arson fire that torched the Up Stairs Lounge, a gay bar, has been little known for decades. Author Robert W. Fieseler hopes to correct this with his narrative history, Tinderbox: The Untold Story of the Up Stairs Lounge Fire and the Rise of Gay Liberation (W. W. Norton). In the days of the fire, the consequences of being connected to a gay venue could get you fired, injured, or dishonorably discharged from the service, Fieseler said, so people tended to remain silent. But the victims’ voices are no longer so. An interfaith memorial was held at St. Mark’s United Methodist Church in New Orleans to commemorate the 45th anniversary of the fire on June 25. Journalist, biographer, and Auditorium Speaker Series presenter Jonathan Eig spoke about Ali: A Life (Houghton Mifflin Harcourt, 2017), a 640-page, multiple-award-winning exploration of boxer Muhammad Ali compiled from more than 600 interviews with 200 sources over five years. “I think he wanted to be loved—he wanted attention—more than he wanted respect,” said Eig, who maintained that Ali’s sense of humor has been underreported in depictions of his life, as the boxer spent much of his career being either hailed as “the greatest of all time” or reviled as a draft-dodger. “If you think Colin Kaepernick is getting a hard time these days for taking a knee against the national anthem, Muhammad Ali became the most hated man in America,” he said. 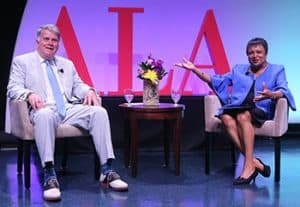 On June 24, the ALA Council passed a historic resolution that “apologizes to African Americans for wrongs committed against them in segregated public libraries” and commends those “who risked their lives to integrate public libraries for their bravery and courage in challenging segregation in public libraries and in forcing public libraries to live up to the rhetoric of their ideals.” Then–ALA President Jim Neal read the resolution later the same day to an audience gathered at the main New Orleans Public Library to hear about this neglected chapter in library history from four individuals who participated in sit-ins and protests at libraries in the South during the 1960s. Wayne and Shirley Wiegand, authors of The Desegregation of Public Libraries in the Jim Crow South: Civil Rights and Local Activism (LSU Press), provided historical context, while four people recalled their experiences protesting segregation in libraries: Joan Mattison Daniel, one of the Greenville Eight who participated in a sit-in at the Greenville (S.C.) Public Library, on March 27, 1960; Ethel Adolphe, one of the Tougaloo Nine who conducted a read-in at the Jackson (Miss.) Public Library on March 27, 1961; Ibrahim Mumin, who participated in a protest at the public library in Columbus, Georgia, in July 1963; and Teri Moncure Mojgani, now a librarian at Xavier University, who participated in a protest at the public library in Hattiesburg, Mississippi, in 1964. Libraries hoping to use archival resources to create local history documentaries received valuable tips at “It’s a Wrap: Librarians, Filmmakers, and Archival Collections.” Daardi Sizemore Mixon, university archivist and special collections librarian at Minnesota State University, Mankato (MSU), and her colleague Monika Antonelli, outreach librarian, explained how, as part of the university’s 150th anniversary celebration, the MSU library produced a 50-minute documentary titled Two Weeks in May, which chronicled anti–Vietnam War protests on campus in the early 1970s. Mixon and Antonelli provided advice for librarians interested in pursuing a documentary project, from ensuring that you have a firm grasp of local history before beginning to the importance of employing volunteer film students, who can often incorporate the work into their own studies. Two academic librarians with no archival background have become researchers into the history of World War II internment camps in Louisiana. Those librarians—Hayley Johnson, head of government documents at Louisiana State University (LSU), and Sarah Simms, LSU undergraduate and student success librarian—presented “The Accidental Researcher: a Case Study in Librarian-Led Historical Research and Social Justice,” in which they revealed that their research took them on two paths. First, they sought families connected to Camp Livingston, a US Army military camp where approximately 1,000 Japanese men were interned during the war. Eventually the librarians found the family of a Buddhist priest who had been interned at the camp and who had kept a journal during that time. Second, they searched for government primary sources in the National Archives and Library of Congress. Johnson and Simms also spoke to the social justice aspect of their research, finding it highly relevant to the current times. 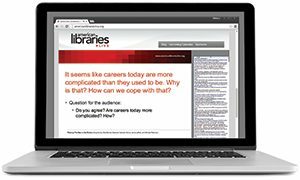 At the “Library and Information Technology Association (LITA) Top Technology Trends” panel, experts from across the library field discussed technology that will affect the profession in the coming years. Independent technology consultant Marshall Breeding moderated the discussion, which focused on upcoming technological shifts such as quantum computing, psychometrics, embedded digital libraries, the death of transparency in search results, and next-generation learning management systems. LITA also featured a fast-paced program on artificial intelligence (AI), presented by Bohyun Kim, chief technology officer at the University of Rhode Island (URI) Libraries in Kingston. This fall, what is believed to be the first AI laboratory in an academic library setting will open at URI. Kim suggested several immediate ways in which AI has added to or improved library services: faster and more accurate abstracting and indexing services; feature detection and content extraction, in which a neural network extracts data and predicts outcomes effectively; voice-user interface and chatbots, such as providing reference services through Amazon’s Alexa virtual assistant; and Google’s Talk to Books, a website that attempts to answer user questions (“Where is the best place to go on Earth?”) by examining some 100,000 digital books. Where does one get ideas for a library-themed podcast? What equipment is needed? How does one get administrative buy-in? And how does one get someone to listen? 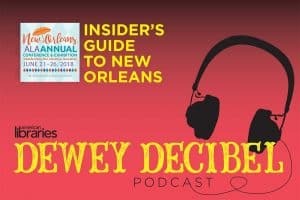 These were some of the questions asked of panelists at “So You Want to Podcast…,” a session sponsored by American Libraries and moderated by Phil Morehart, associate editor of American Libraries and host of the Dewey Decibel podcast. The panelists raved about microphones and recording devices from Blue (Yeti and Snowball models), Audio-Technica, and Zoom that range in price from about $50–$300. Some panelists also noted the usefulness of Skype and Google Voice for recording calls. For editing software, the standards seem to be Audacity, a free open source platform, and GarageBand, free with Mac products. National and international slam poetry champion, Maryland Library Association 2018 Poet of the Year, and Kennedy Center master teaching artist Gayle Danley closed the Auditorium Speaker Series with a warm and sometimes humorous performance addressing powerful issues such as the loss of parents, domestic abuse, juvenile detention, the growth of children, teaching, love, and appreciation. Danley’s emotionally honest performance built from connection. 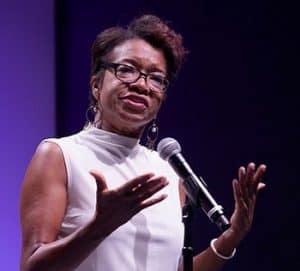 She encouraged participation in her poetry, coaxing the audience to sing Aretha Franklin’s “Respect,” leading a laughter-filled call-and-response on the power of “no,” and—with a show of hands—encouraging audience members to share deeply personal facts, such as who had lost their mother (leaving few dry eyes in her wake). Emmy-, Golden Globe-, Oscar-, and Tony-winning actor Viola Davis, the Closing Session speaker, received a standing ovation before her program even started. Author of the forthcoming children’s book Corduroy Takes a Bow (Viking Books for Young Readers, September), her take on Don Freeman’s iconic bear, Davis was interviewed on stage by Andrew Medlar, former ALSC president and director of BookOps for BPL and NYPL, about her relationship with books and libraries, her love of theater, and her connection to the original Corduroy story published 50 years ago. Be sure to read our full conference coverage at The Scoop blog and check out videos of conference speakers on YouTube. Ed Sanchez gave the report from the ALA Resolutions Committee (CD#10.2) on a motion to amend the ALA Policy Manual to update the motion form process for resolutions with fiscal implications. The motion passed. ALA Councilor Sara Dallas (CD#41) read a resolution to honor African Americans who fought library segregation. The motion passed unanimously. Former ALA president Maureen Sullivan facilitated a discussion with councilors on ALA’s organization effectiveness efforts (CD#35.1). Councilor Martin Garnar gave the report from the Committee on Diversity (CD#14.1). In his report as president of the Freedom to Read Foundation (FTRF) (CD#22.1), Garnar provided updates on existing and new legislation issues, education efforts, Banned Books Week, and plans for FTRF’s 50th anniversary in 2019. Councilor Vivian Bourdeaux, chair of the Council Election Tellers Committee, reported on the election of new representatives to the Committee on Committees (COC) and the Planning and Budget Assembly (PBA) (CD#12.3). Elected to 2018–2019 COC terms are Latrice Booker, Dora Ho, Jack Martin, and Louis Muñoz Jr. Elected to the PBA as chapter councilors for 2018–2020 are Micki Dietrich and Andrew Wertheimer; elected as councilors-at-large for 2018–2020 are Nicholas Barone, Dorcas Hand, and Larry Neal. Councilor Christopher Corrigan reported on the Policy Monitoring Committee (CD#17.1) and presented seven action items that had all been adopted at previous conferences but needed to be added to the ALA Policy Manual. The items included inserting language on net neutrality; making visual and performing arts part of the Library Bill of Rights; opposing sweatshop labor and supporting union businesses (affirmed in 2008); making an ALA- or CAEP-accredited master’s degree strongly preferred for ALA’s executive director; adding the core organizational values; adding the key action areas; and adding the strategic directions. All seven motions passed. Chair Sue Considine reported on the Committee on Organization (CD#27.1). Motions to redesign the ALA and Council Committee intern position and to establish the Graphic Novels and Comics Round Table both passed. Chair Leslie Burger provided updates from the International Relations Committee (IRC) (CD#18.1–18.3), including the International Federation of Library Associations and Institutions Global Vision and world map projects. IRC raised $80,000 in disaster relief funds for grants to rebuild Puerto Rican libraries after last year’s hurricanes. Burger reported that 530 librarians from 50 countries were attending this year’s Annual Conference. Budget Analysis and Review Committee (BARC) Chair Rhea Lawson gave the BARC report (CD#33.2). A resolution on using ALA endowment funds for socially responsible investments failed. Rebekkah Smith Aldrich, cochair of the ALA Special Task Force on Sustainability, presented a report (CD#40) on sustainability and libraries. Kenton Oliver, chair of the Committee on Legislation (COL), announced public policy highlights and other COL activities since Midwinter (CD#20.1–20.4). A motion to recognize the 25th anniversary of the Government Publishing Office Access Act and calling for the enactment of the Federal Depository Library Program Modernization Act passed (CD#20.2). A resolution to reunite detained migrant children with their parents passed (CD#20.3). Chair Helen Ruth Adams reported on the recent work of the Intellectual Freedom Committee (IFC) (CD#19.3–19.8), including rebranding the Choose Privacy Week website as Choose Privacy Every Day to serve as a year-round reference. IFC is also developing resources for libraries hosting controversial speakers and programs. Motions to adopt several interpretations of the Library Bill of Rights regarding meeting rooms (CD#19.6), library-initiated programs as a resource (CD#19.7), and services to people with disabilities (CD#19.8) all passed. Gay, Lesbian, Bisexual, and Transgender Round Table (GLBTRT) Councilor Ann Symons proposed a resolution on increasing the number of gender-inclusive bathrooms at ALA conferences and meetings (CD#42), which passed with an amendment. ANNE FORD is American Libraries editor-at-large. Amy Carlton, Heather Cho, Terra Dankowski, George M. Eberhart, Lisa Krok, Carli V. Lowe, Alison Marcotte, Phil Morehart, Sanhita SinhaRoy, Carrie Smith, Sally Stieglitz, and Kate Thompson contributed reporting and editing for this story.